Music can transform our lives. One of the best ways to get in touch with music is to play your favourite songs on the piano. When you’re just starting out, it seems like a daunting task to master a musical piece. Your frustration can also get in the way. However, we all start at zero before we can become good at something. Playing the piano is no exception. Practice makes perfect. The key is to learn and practice smart. Start small and build up your skills gradually. 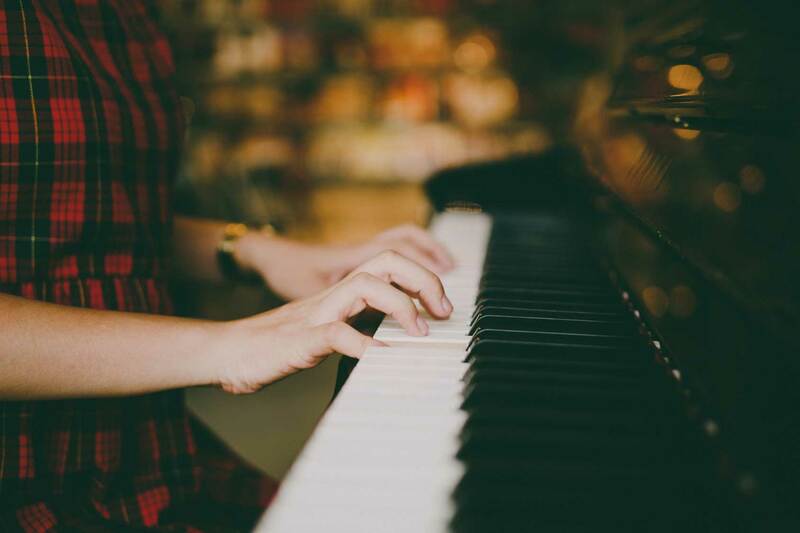 If you’re a newbie or want to gain some instant gratification, here are top 5 easy songs to play on piano. 1. “Someone Like You” by Adele. If you’re a contemporary music lover, “Someone Like You” perhaps needs no introduction. This hit from Adele’s album 21 was a sensation across the world. This song consists of four repeating chords A, E, F#min, and D, which are relatively easy and simple to play on piano. With you left hand, play constant arpeggios. With you right hand, add the melody. For avid fans of the Beatles, “Let It Be” is a great song to play on piano, especially if you’re a beginner or immediate pianist. “Let It Be” was inspired by a dream that Sir Paul McCartney had about his mother, who passed away when he was fourteen. The song was originally released in March 1970 as a single. The alternative mix version was included in the band’s final album “Let It Be”, which was released nearly a month after the band’s breakup. Let’s bring up the mood a little with “Billie Jean”, a universal hit by the legendary Michael Jackson. This song is in the key of F# minor. Its melody is a cross-pollination of different music genres, including post-disco, dance pop, funk, and R&B. “Billie Jeans” was a part of the award-winning and currently the best-selling album of all time. The recommended video tutorial concentrates on the synth parts of the song. Did you know that “Fly Me to the Moon” was written by Bart Howard and originally named “In Other Words”? Joe Harnell revived the song in bossa nova arrangement in 1962. This version won a Grammy for “Best Pop Instrumental Performance”. Then Frank Sinatra recorded the song two years later. His version is now considered to be the definitive version of the song. “Hey, Soul Sister” is the brainchild of Train, an American rock band. Though Train has been around for a while, it wasn’t until “Hey, Soul Sister” that they gained worldwide recognition and scored a Grammy Award in 2011. Written in E major, this is a catchy song to play on piano. Check out the video tutorial for more information. Learning to play piano is a fun and rewarding experience. There is an ocean of easy, simple songs to help you get started without feeling overwhelmed. We hope this list has inspired you to keep on honing your piano playing skills. Need further advice or just want to exchange some ideas? Send us a message!